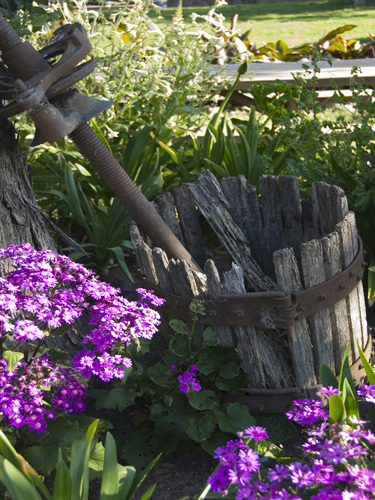 This old wine press sits in a bed of purple flowers and reminds one of how fast technology changes. Very interesting photograph. Great composition and textures in this capture.